If you are considering getting partial dentures, you may have some questions about how they work. 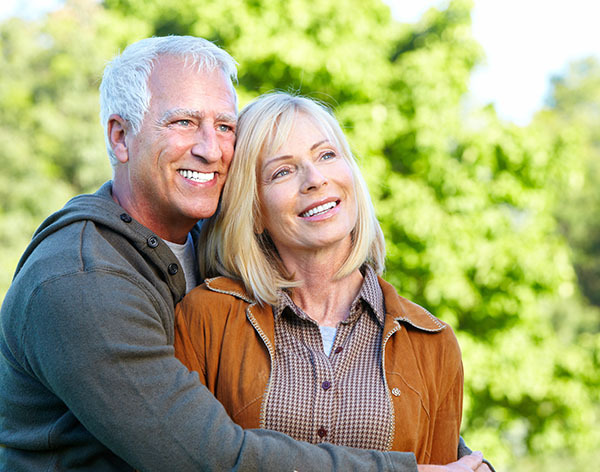 To learn what you need to know, consider these questions most commonly asked by partial denture patients. Partial dentures are artificial teeth dentists use for patients who have a few missing teeth but still retain most of their natural teeth intact. The artificial teeth in the dentures are used to replace the missing teeth, restoring your smile and allowing you to enjoy the benefits of having a full set of teeth again. Yes, dentures are quite durable and can last five to 10 years depending on how well you take care of them. If you clean them regularly and avoid eating food that will damage them, they will last for a long time, but if you do not take proper care of them, you will likely have to replace them frequently. Will people know I have false teeth? It depends on what the artificial teeth are made of. Porcelain dentures are the most realistic-looking and are difficult to differentiate from your real teeth because they are colored to match your natural teeth. Will dentures make it difficult to eat? No, dentures will make eating easier because you will be able to chew your food without having to worry about putting pressure on your gums like you did when you ate with missing teeth. The dentures will take a while to get used to, but when you do, you will not remember that you have dentures in your mouth. However, you should avoid eating foods like nuts or hard candy because they can damage your dentures, forcing you to get them replaced sooner than you would like. Can I sleep with partial dentures on? This depends on the type of partial dentures that you have. If the dentures are removable, your dentist will recommend taking them out before going to sleep. However, fixed partial dentures like hybrid dentures do not have to be taken out because they have been permanently fixed in your mouth. Are partial dentures the best way to replace missing teeth? No, dentures are a solid substitution for natural teeth, but they are not considered the best way to replace missing teeth. Dental implants are considered a better alternative because titanium posts are fused to your jaw to act as tooth roots and stimulate your jawbone, making them the closest thing to natural teeth. Will partial dentures make me slur my words? When you first get dentures, you might have difficulty saying certain words because you are still getting used to having them in your mouth. Once you get used to them, you should be able to speak without slurring your words. Do I need partial dentures if I have only one or two missing teeth? No, if you have only one or two missing teeth, there is no need to get partial dentures. You are likely better off getting dental implants or a fixed bridge, which are better alternatives for people missing only a couple of teeth. Partial dentures can significantly improve your appearance and allow you to enjoy your favorite foods again. If you have missing teeth and are considering getting dentures, ask your dentist if partial dentures are right for you.